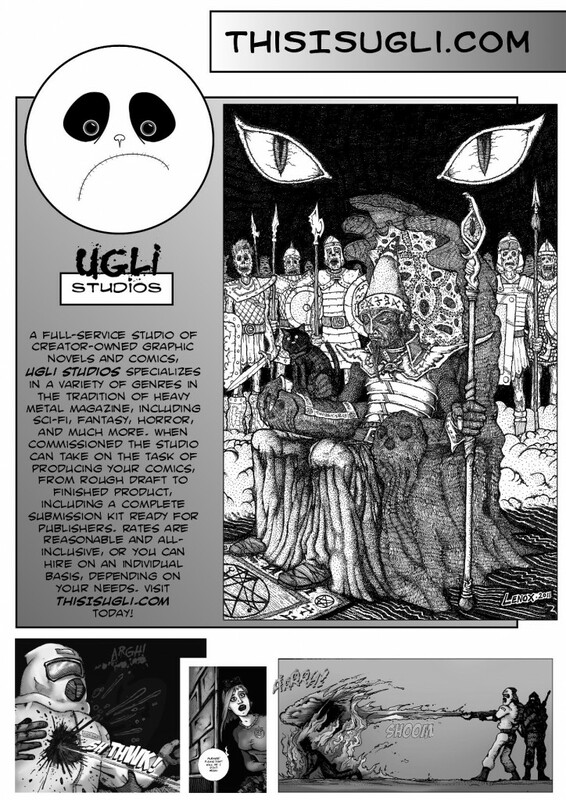 Very cool one page print advertisement done by my letterer and partner in crime- David Paul. Apparently he is getting this in some new publication free of charge to get us some publicity and work. Nice mix of images from “Grizelda” and “Vermin”. David’s logo for UGLI is also very cool, in my humble opinion!